For more than two decades, the British hairstylist Guido Palau has brought a distinctive sensibility to the world of fashion, incorporating disparate elements from art and history. In “Beauty — Cooper Hewitt Design Triennial,” photographs of Mr. Palau’s work are found in the opening first-floor gallery, devoted to the theme of extravagance. In a room full of spectacular clothing and jewelry, his hair designs easily stand on their own. “The hair isn’t necessarily responding to fashion or creating a character,” said Andrea Lipps, a Cooper Hewitt curator who organized the show (with Ellen Lupton). And as gender differences have narrowed, Mr. Palau’s designs take inspiration from very traditional notions of beauty, but interpret and distort those sources to evoke imagery at once classical and alien. The Los Angeles-based twin brothers Nikolai and Simon Haas have made furnishings and decorative objects (among many other things) for years. 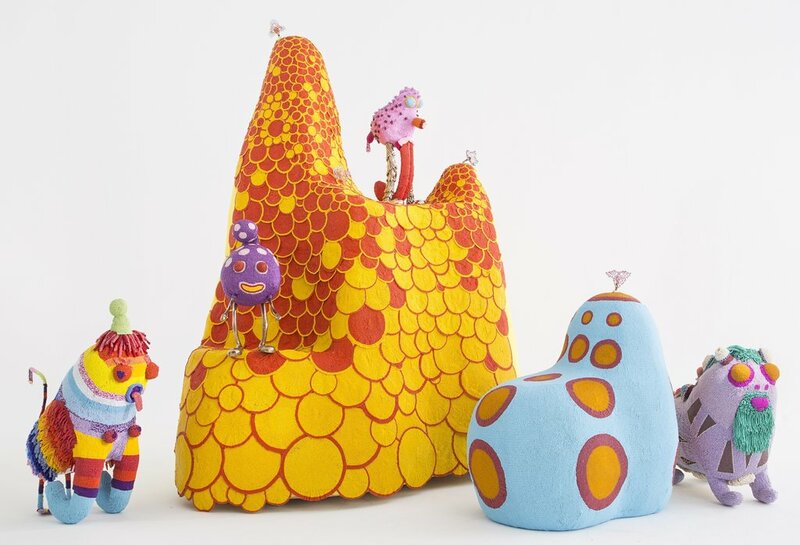 Many of those works combine elements of sexuality and voluptuous form, while the items in the Cooper Hewitt show tend more toward the fantastical. “We had no idea, two years ago, what they were going to present to us,” said Ms. Lipps. The show’s Emergent section includes plenty of hybrid forms, using technologies like 3-D printing. In her project “Wanderers,” Neri Oxman, who works at the M.I.T. Media Lab, imagines wearable objects to augment the human body’s capabilities, possibly enabling survival on distant planets. “Emergence is very much about generating form, and generating new ideas of beauty, and pushing these,” Ms. Lipps said. 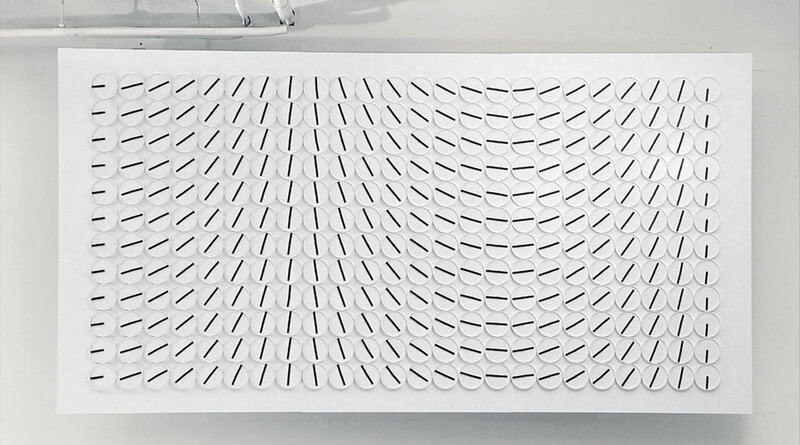 Lauren Bowker’s London-based practice, TheUnseen, is focused on responsive design. 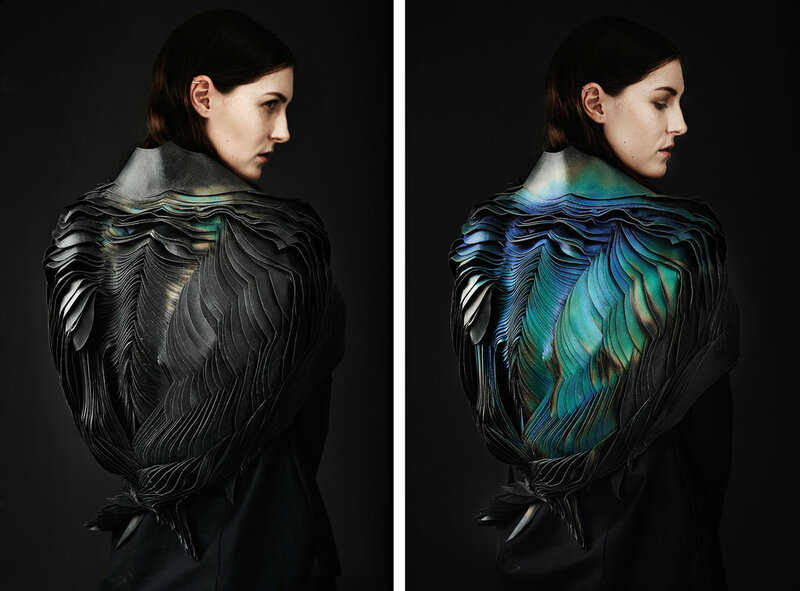 This leather jacket is colored with ink that reacts to wind movements, changing to orange to green to blue. Calm air restores it to black. She has also worked on a headpiece to signal something about the wearer’s thoughts — a sort of 21st-century mood ring. “So far that has existed as a very conceptual piece,” Ms. Lipps said. If you’re distracted and nearby, the sudden movements of this seemingly ordinary bank of analog clocks can shock you to attention. 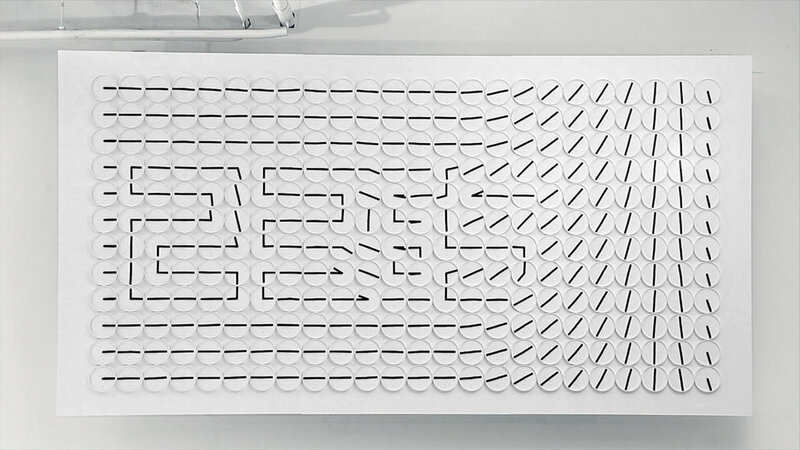 The piece, “A million times,” made by the Stockholm-based design firm Humans Since 1982 (in collaboration with the electrical engineer David Cox), includes 288 clocks, which display a digital rendering of the time once every sixty seconds. The display can be mesmerizing. “You find yourself literally standing and watching time pass,” said Ms. Lipps. 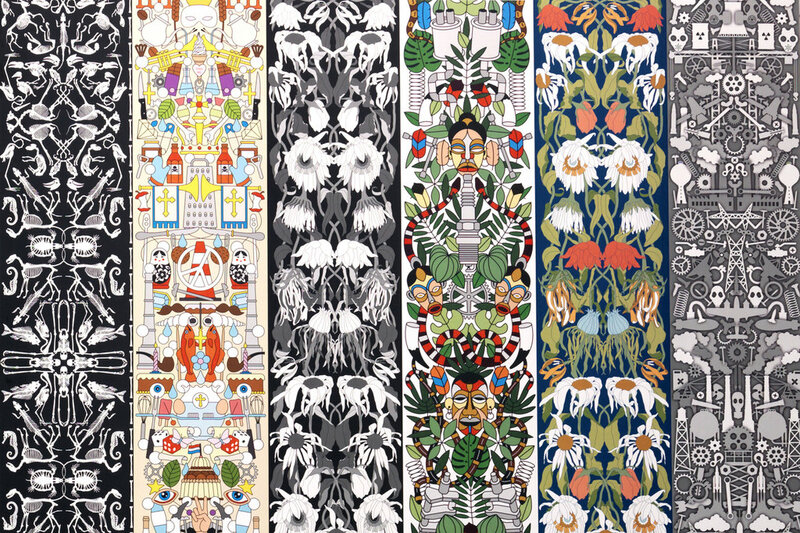 In a set of wallpaper designs for the Dutch company NLXL, Studio Job uses archival imagery to build up complex patterns that run more than 29 feet without repeating. The designs incorporate unusual elements — animal skeletons, chemistry flasks, decaying flowers — but achieve a surprising kind of harmony given the density of objects. 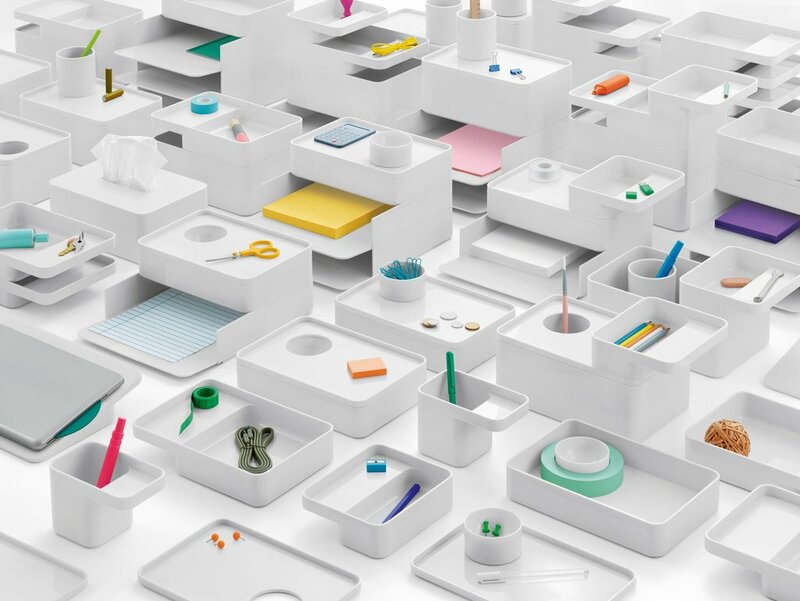 In a series of designs for Herman Miller, called Formwork, the design firm Industrial Facility re-envisions the simple forms of the desktop. The British duo behind Industrial Facility, Sam Hecht and Kim Colin, use their experience in industrial design and architecture to make functional objects that are distinct. In assembling the triennial show, the curators did not intend to convince visitors that their categories were authoritative. Rather, Ms. Lipps said, they wanted to provoke argument and discussion. But essential to that discussion, she said, was the focus on the sensual experience that can be evoked by these kinds of works.